I have a secret. A secret I’ve hid for the last five years. It happens the moment I fall asleep. I wake up somewhere in the world—London, Paris, my crush’s bedroom. I don’t decide the destination, my dreams do. Ten minutes. That’s all I get before I vanish back into my bed. 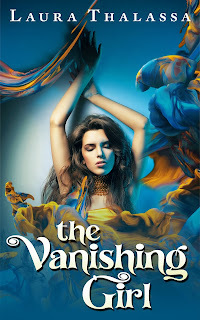 The Vanishing Girl is the first book in a three book trilogy I have planned. Unlike The Unearthly series, this book has a science fiction slant, although I will say it straddles the fence between science fiction and fantasy. In addition, it’s a new adult (NA) book, rather than young adult (YA). I’m working on a more fleshed out description of the story at the moment, so for now, if you want a little more information on the project, click here to be directed to another post I wrote on this book. The Vanishing Girl should be out by late winter/early spring. The Coveted is Now Out! For those of you who have been waiting to find out what happens to Gabrielle and Andre next, The Coveted is now officially for sale! (Click here to view The Coveted’s Amazon page.) I’ve been so excited to share this sequel with you, so I’m pretty pumped that today I can actually start talking about the book! Now that it’s out, the inevitable question is this: how many more books are in the series? I have plans for at least four more books, but there could be more. Eventually I’ll update my FAQ page so you all will have a better idea about where I’m at with this series and some of the other projects I’m working on. Lastly, once you’ve finished reading The Coveted, if you enjoyed it please leave a review. Those things are like gold to writers. Pre-released Copies of The Coveted out Now! If you signed up for a pre-released copy of The Coveted, I just sent out the email with your attached book! (Please shoot me a message if the email didn’t go through or if the attachment didn’t work properly.) I am unbelievably excited to share this second book in the series with you all, and I hope you enjoy reading it as much as I enjoyed writing it! The book officially comes out next Friday, December 13 (yep, it has a Friday the thirteenth release date), but you can still receive a pre-released copy if you’re interested. Click the icon to the left to find out more. Now that The Coveted is about to be released to the public, you might be curious just how many books will be in the series. My quick answer is: many. I don’t yet have a number, but I will tell you that this will be longer than a trilogy. I’m not ready to leave my characters’ world yet (and I hope you’re not either!). As I write this, I’m working on the third book in the series, and I’m hoping to have this third installment done and out by spring of 2014. It’s official—I’ve managed to move up my publication date a month. The Coveted will be available as of Friday, December 13. The séance was being held in one of the main library’s back rooms. As Oliver, Leanne, and I passed the rows of cloth-bound, gold-leafed books, I saw Lydia Thyme, Peel’s head librarian. Our eyes met and she winked at me. I smiled and nodded back. Not so long ago she’d helped me when I desperately needed it. I wasn’t sure which side of good and evil she fell on, but I also wasn’t sure I had the luxury of defining my world by such absolutes any longer. At the back of the library there was a series of doors, one which was propped open. The three of us slipped inside. A group of students already sat in seats placed along the edges of the room. Leanne, Oliver, and I grabbed three of the remaining seats and waited for tonight’s activities to begin. I leaned into Leanne. “Remind me again what a séance is?” I asked, studying the round table in the middle of the room. Resting at its center was a crystal ball. That’s what I thought. I was just wondering why this was a good idea. There were plenty of people I knew who were dead, and only a couple I’d be okay communicating with. With the exception of my parents, I seriously hoped none of my deceased acquaintances showed up. I eyed the ground. Under the table someone had drawn a large pentagram within a circle. Five unlit candles rested at each point of the star. Considering my last foray with candles and old buildings didn’t go so well, I desperately hoped these would remain unlit. A few minutes later, after more students trickled in, Madame Woods entered the room, her velvet dress trailing behind her. “Welcome, welcome,” she said, steepling her hands together and bowing to us. Well, there goes my earlier hope. With that, she stepped inside the chalk circle and began to light each of the five candles. When the fifth and last candle was lit, Leanne inhaled sharply. “What is it?” I whispered to her. I followed her gaze, but I couldn’t see anything. The air was still as invisible as ever. I shivered. There was something in the room that I couldn’t see. The thought made me feel vulnerable. I wondered what other unseen things lurked just beyond my five senses and whether they could peer at me. Madame Woods sat down in her chair. Rather than waving her hands around the crystal ball—which, I’ll be honest, I was kind of hoping for—she folded her hands in front of her and stared into it. Something about this moment, this confession, made me profoundly uncomfortable. I shouldn’t know about this stranger’s painful past, and I sure as hell didn’t want to share my own. Madame Woods focused on the girl who spoke. “Your sister wants me to tell you that she knows you carry around a picture of you two in your wallet. And on bad days you sometimes pull it out.” At this the audience member began to cry. The tearful girl smiled. “Thank you,” she whispered. Madame Woods nodded and turned her attention back to the crystal ball. This time, we all waited patiently for her. Leanne made a noise in the back of her throat. “Adelaide?” she asked. “Yes,” Madame Woods said empathically. I looked at Leanne sharply. My impression had always been that her grandmother was still alive. After all, her grandmother was the one who had tipped Leanne off about the persecution tunnel in the basement of the women’s dormitory. “She’s been gone for awhile now, right?” Madame Woods said. At this, I felt my eyes widen. Once more Madame Woods focused on the crystal ball in front of her. I studied the way her unblinking eyes watched the ball. Slowly her lids began to droop. Then they slid shut and her body went slack. Somewhere in the room a clock ticked rhythmically. Students glanced at each other, no one sure what to make of the medium’s limp body. The candles in the room flickered, and Madame Woods gasped to life. Only, Madame Woods was no longer Madame Woods. “Where is she?” The voice was unnaturally deep and gravelly. Unfocused eyes searched the room. The students shifted. A couple whimpered. Around the room I saw wide eyes. “Where is the devil’s consort? I smell her.” The eyes roved around the room. Until they locked with my own. “You.” The beast controlling Madame Woods strode towards me. What had the thing called me? The devil’s consort? Ew. I mean seriously—ewww. The chalk line was only two feet in front of me, and that white line was all that separated the medium from me. Right about now I was having trouble believing an invisible wall separated us. But I sure hoped one was. I stilled. It seemed that even my heart slowed. Whatever lingered behind those eyes was ugly and twisted. And it knew about the man in the suit. So I’ve been thinking long and hard about how I want to celebrate the holidays with you and extend to you my thanks. And I found just the way to do it. Mosey back over here and click on my contact page, or enter in this address: laurathalassa.author@gmail.com. In the body of the email, paste your review and the username you posted it under so that I can confirm your review for you. Once your review is confirmed, you’ll receive a reply from me with the .MOBI file of The Coveted. If your e-reader is not a Kindle, let me know what it is that you use, and I’ll send you the appropriate version. Currently The Coveted is still being edited, so I won’t begin sending out pre-released copies of the book until December. But I’m already writing down a list of names and email addresses for those readers who have taken me up on this offer. For those awesome readers who are just now reading this but who have already posted a review, let me know since this applies to you as well! Some of you have already reached out about The Coveted, and I haven’t forgotten about you, pinky promise. This is my gift to all of you who have shown so much excitement in The Unearthly and who are excited to find out what happens next with Andre and Gabrielle! Want to know a little more about your favorite characters from The Unearthly? Tomorrow author Angela Mcpherson of Hope’s Decree will be posting a character interview on her blog. And, to sweeten the pot, she’ll also be posting the first chapter of The Coveted. That means that if you missed the Halloween sneak peak of the first chapter, you can still read it at Angela’s site! I need to give a HUGE thanks to James from Humble Nations, who’s made all my beautiful covers. I swear each one is better than the last. And to all you readers, I hope this gets you amped up to read The Coveted! If it does, I’ll be raffling off a print version of The Coveted on Goodreads very soon, so make sure to check back in on The Coveted’s Goodreads page for more information! So, I just saw the final cover for The Coveted and I almost peed my pants it was so awesome! I can’t wait to share it with you all, and I’ll probably have it up sometime this week! If you are a Goodreads member and are interested in reading The Coveted, then make sure to mark it as “To Read.” You can click on the link here to get to The Coveted’s Goodread’s page. In other news, in a couple weeks I’ll be participating in a character interview with the lovely Angela Mcpherson, author of Hope’s Decree, YA paranormal romance that deals with the myth of Pandora’s box. (If you all haven’t read it, do! 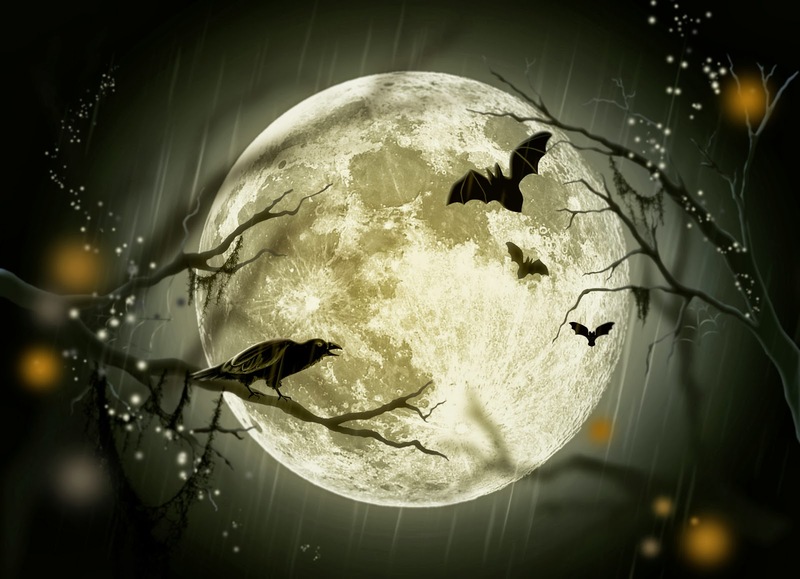 It’s the perfect Halloween read.) It’ll be posted up on Angela’s blog. So, if you want to read a bit more about Gabrielle, Andre, and Oliver, they’ll all be making an appearance in a couple weeks!. 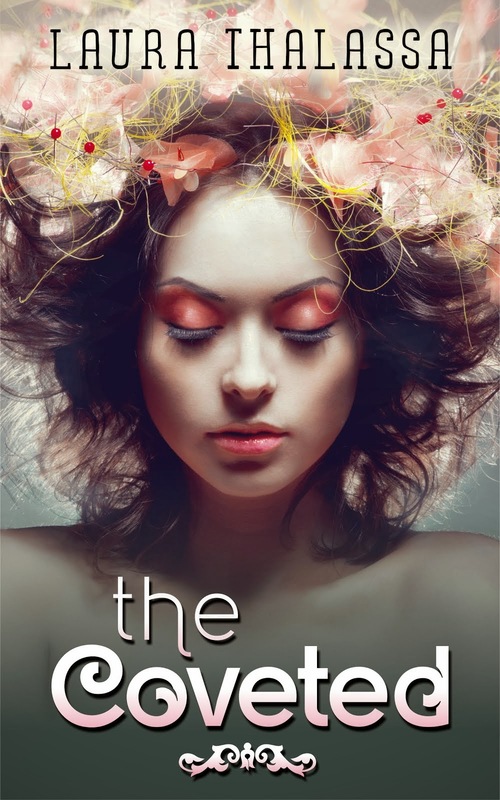 Lastly, on October 31 I will be releasing the first chapter of The Coveted. The catch? It’s only going out to members of my mailing list. If you just can’t wait to get a sneak peek of it, then make sure to sign up for my mailing list—the form is just to the right. When a body shows up near Peel Academy, all signs indicate the killer is a vampire. Ravaged throat, body drained of blood. At least that’s all it appears to be when the Politia, the supernatural police force, assigns Gabrielle to the case. Now it’s Gabrielle’s job to figure out who did it. But after a second body turns up with the same lethal wounds, it’s clear that a serial killer is stalking the island. The murders have compromised the truce between the Politia and vampires, and as long as the killer roams free, it is in danger of dissolving. If that happens, no vampire is safe from persecution, not even Gabrielle. Now Gabrielle must team up with Andre, her soulmate and the one person she’s tried to stay away from, to investigate the murders before the truce dissolves. And keeping her distance is proving to be impossible. But Gabrielle has a bigger problem. The world of the dead know about her, and their whispers hint that something is coming for her. And it’s coming soon. Lastly, I’m still scheduled to release the first chapter of The Coveted on October 31 to those on my mailing list, so if you want a sneak peek of the sequel, make sure to sign up for my mailing list with the form on the right. Halloween Sneak Peak of The Coveted! For all of you readers who’ve been patiently waiting for more information on The Coveted, I’ll be releasing a sneak peak of the first chapter on October 31 in honor of my favorite holiday, Halloween. That’s right, it’s beginning! The catch? I’ll be sending it out solely to members of my mailing list! For those of you who are not on the mailing list, you can still sign up—the form is just to the right. So, on Halloween, between binging on candy, watching scary movies, and dressing up in costumes, make sure to to open your inbox! Lastly, make sure to check back in from time to time. In the next few months I’ll be revealing the cover and the description of The Coveted. Want to know more about The Vanishing Girl as well as some additional factoids about The Unearthly? The lovely Kelly Smith interviewed me a few weeks ago, and the interview is now up on Kelly Smith Reviews. You can read it here. If nothing else, please check out her awesome blog—she has some wonderful book recommendations! Goodreads Giveaway of the Print Version of The Unearthly! Interested in winning a free print copy of The Unearthly? Click on the link below and join my Goodreads giveaway. And while you’re there, make sure to swing by and say hello. For those of you unfamiliar with Goodreads, Goodreads is essentially a social media site that revolves around books, and you get the perk of joining things like giveaways to receive free author copies of novels. Hope to see you all there! Giveaway ends September 29, 2013. So, since every book has to have one, I thought I’d post the playlist to The Unearthly. This doesn’t represent all of the songs that inspired me while I was writing the novel, but all these songs do bring me back to the book. I hope you enjoy them as much as I have! Remember how I mentioned free stuff the other day? Well today I’m raffling off a Kindle copy of Dan Rix’s YA novel, Entanglement. This is an awesome, fast-paced read that will keep you on the edge of your seats, and look at that cover! Isn’t it gorgeous? Scroll down to enter the giveaway! In a world like ours, humans are born in pairs. When a newborn boy takes his first breath in the coastal town of Tularosa, the exact time is noted, recorded in the Registry, and later compared to the birth times of other newborns around the globe. There will be one identical match—his half. They will meet on their eighteenth birthday and they will spend their lives together. Except this time, there is no match. Hotheaded heartthrob Aaron Harper is scheduled to meet his half in twenty-nine days, and he doesn’t buy a word of that entanglement crap. So what if he and his half were born the same day and share a spooky psychic connection? Big deal. After breaking one too many teenage girls’ hearts, he’ll stick to brawling with the douchebag rugby players any day. Until the day a new girl arrives at school and threatens everything he takes for granted.Cold and unapproachable, Amber Lilian hates the growing list of similarities between her and the one boy she can’t read, Aaron: born the same day, both stubborn, both terrified of meeting their halves. . . . All the more reason not to trust him. That she would rather die than surrender herself as her half’s property is none of his damn business. But once lost in Aaron’s dangerous, jet black eyes, she’s already surrendered more than she cares to admit. Tangled in each other’s self-destructive lives, Aaron and Amber learn the secret behind their linked births and why they feel like halves—but unless they can prove it before they turn eighteen, Aaron faces a lifetime alone in a world where everyone else has a soulmate . . . and he’ll have to watch Amber give herself to a boy who intends to possess not only her body but also a chunk of her soul. I don’t know about a lot of you, but it’s difficult for me to pick out awesome books to read. Not that there aren’t oodles and oodles out there, but finding them can be a challenge. But when you finally come across a really fantastic book, the wait is totally worth it. 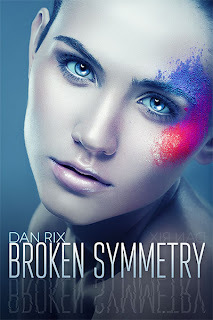 Today marks the release date of Broken Symmetry, Dan Rix’s new novel. Oh my heavens, this is one of those fantastic books! And I swear I say that as a reader and an editor, not as a significant other; this is a must-read. Eleven months after the father of sixteen-year-old Blaire Adams vanished without a trace, he's found wandering outside The Scripps Research Institute vomiting blood and speaking gibberish, his sole possession a worn leather diary filled with an unrecognizable language. He has a message for her. As he dies in her arms, he claims he never vanished. She vanished. In a nearby military quarantine zone, scientists are being called in from around the world to sequence a previously unknown strain of DNA. Scientists…and soldiers. When her father’s autopsy reveals a rare chromosomal disorder—a disorder, it turns out, she inherited—Blaire begins to suspect her father’s last words weren’t induced by amnesia. Like her dad, she has an additional set of instructions in her genes—instructions for what, doctors can’t say. Only one thing is certain: it’s what killed him…and it will kill her too. But now she’s haunted by prophetic nightmares of the Yellowjacket—a young murderer, eyes the black of charcoal, who lures his victims to suicide without ever paying them a visit. The only clue she has to his handiwork is a lingering feeling of déjà vu. That, and the nagging suspicion that all she knows is a mirage. She is certain of two things—though it may mean confiding in the wrong side of good and evil, he has the answers she needs. And he is recruiting her. I should start this by saying that, after finishing the book, it is easily one of the best books I've ever read. Ever. I know that's saying a lot, but you'll understand once you read the book. 1) Think Inception. The concept of "crossing over," or walking through mirrors, is just as spooky and well-fleshed out as the movie Inception. Not to mention just as good. In spite of that, this is not a copycat idea at all. But it will give you the same thrill all over again. 2) The science is solid. Dan Rix did his homework. Every strange occurrence has an explanation based on scientific facts. And, because of that, you're not going to see any illogical "rules" of this world. Thank goodness. 3) Blaire is an AWESOME main character. She's the type that gets herself into situations, doesn't take bull from anyone, and is absolutely hilarious while doing it all. She lightens up what could otherwise be a really dark book. 4) Damian. Hot. OMG, HOT. I'm fanning myself just thinking about him. And the chemistry between him and Blaire made me giddy throughout the entire book. But don't worry if you're not big on romance, Dan Rix makes it believable and just as edgy and thrilling as the plot itself. 5) The plot is ... unbelievably amazing. I'm not going to spoil the surprise, but I will say this: you won't be able to put the book down--and I mean that. This book WILL ruin you for all other books--it's that freaking good. For those of you who’ve read The Unearthly and those of you who haven’t, Goodreads is giving away a single paperback copy of it. The giveaway ends at 12:00 a.m. August 3, which means you have from now until Friday to enter the raffle. Even if you own a digital copy of the book, I encourage you to enter the raffle. I mean, who wouldn’t want a free paperback book shipped to their house? Lastly, please don’t hesitate to find me on Goodreads! It’s wonderful meeting all of you who’ve enjoyed the book, and I get warm fuzzies every time I hear from you all! Giveaway ends August 03, 2013. Today, July 26 is the last day to download a free copy of The Unearthly off of Amazon! If you or a friend or family member you know might be interested in owning this YA novel, follow this link! For those of you who have read the book, keep a look out this week for another post. I know I’ve left most of you hanging about the sequel, The Coveted, and I promise to post more information on it ASAP! Lastly, thank you all for the awesome feedback and heartwarming comments! Your enthusiasm is the best part of my job! Today is the beginning of a five day long promotion for The Unearthly, a young adult paranormal romance novel. 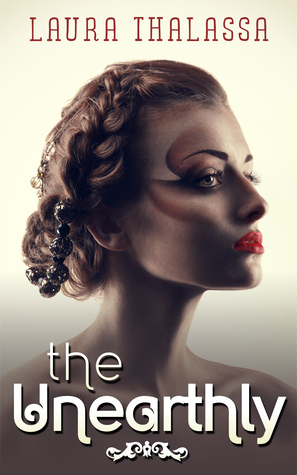 During the next five days, the electronic version of The Unearthly will be free on Amazon for all who are interested. If you or someone you know is interested in receiving a free copy, use this link to check out the book. And for those of you who are interested in knowing a bit more about the book, read on! The first time I was declared dead, I lost my past. The second time, I lost my humanity. Now I’m being hunted, and if I die again, my soul is up for forfeit. After enrolling in Peel Academy, an elite supernatural boarding school on the British Isles, the last of the sirens, Gabrielle Fiori, only wants to fit in. Instead, the elixir meant to awaken her supernatural abilities kills her. When Gabrielle wakes up in the morgue twelve hours later, something wicked is awakened in her, something even the supernatural community has never seen before. Now the only person who can help her is Andre de Leon, the community's infamous bad boy and the king of vampires. Yet even his help can’t prevent the repeated attempts on Gabrielle’s life. Someone is after her, and they will stop at nothing to end her short existence. Only Gabrielle cannot let that happen now that her soul hangs in the balance, because she may have met the devil. And he wants her. Bad. 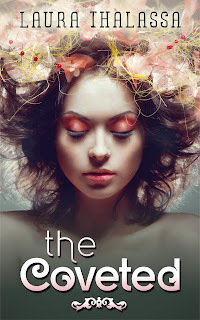 Starting tomorrow, The Unearthly will be listed as a Goodreads giveaway. If you’re interested in receiving a free copy, check out the link below! Now that The Unearthly is out, it’s time for me to announce my next project. At the end of the year I will publish The Vanishing Girl, the first book in another series. Here’s a sneak peak of the cover! I don’t want to say much on this project, except the premise is based on a group of teens that have the ability to teleport. The catch? They can only do so for the first ten minutes after they fall asleep. It works a bit like lucid dreaming, except if they have a naked dream, they might actually teleport somewhere naked, and if they have a falling dream, they might actually find themselves falling. It’s a bit of a lethal ability. I’ll have more on this later, but for now, let me know your thoughts on the cover and the premise! Thank you for visiting my page! The Unearthly is officially out, and you can buy the ebook version for $2.99 on Amazon. Sometime within the next week or two the print book will be out as well. I want to thank you, the brave visitor, for taking enough interest in my novel to stumble across this website. I hope to share more with you soon!